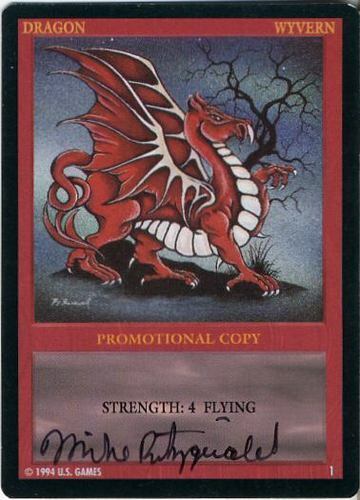 Designer Mike Fitzgerald’s first game, Wyvern, was published in 1994; a trading card game that got him the opportunity to work freelance with Wizards of the Coast (where he also designed the Nitro and X-Men trading card games). He branched into regular card games in 1996 with Mystery Rummy: Jack the Ripper – the first game in a series that still sells worldwide. In 2013 he became a full time designer, finding success with titles including Baseball Highlights 2045 and Diamonds. His next design, Dragon Island, comes out at GenCon 2017 through R&R Games. For the past two years he has also been the co-host on top board game design podcast Ludology, but sadly stood down from the show after episode 150. This is the seventh in a series of Q&As with published board game designers. The idea is to ask them all the same set of questions, so people can compare the answers and build an insight into what makes designers tick – alongside a stock of answers to questions all new designers will end up facing themselves. 1. If not games design, what pays the bills? Do you do anything else creative outside of games design, paid or unpaid? Game design does pay the bills for me. But previously I had a 44-year radio career, including 30 years in New York radio as a radio personality. I guess that is also somewhat creative. 2. Who is your favourite designer(s), and which one do you most admire? What is your favourite design(s) by them? My favourite designer is Carl Chudyk for designing Mottainai, which is my favourite game of all time. I most admire Richard Garfield and have had a chance to learn a lot from him. 3. What drew you to game design? When I played Magic: The Gathering when it first came out I became fascinated by how the game was designed, so I designed my first game (Wyvern) at that time. 4. When you design, what tends to come first – theme or mechanisms? And why? Do you design with a specific type of person in mind? Theme usually comes first for me, but not always. I like designing mechanics with a theme in mind that I can make the players feel like they are doing through the mechanics. I design games that I will like to play. If they seem to work, I then think about many different kinds of players and see how many of them I could interest in the game. 5. What are the best and worst aspects of game design? For me. The worst aspect is writing rules. Very difficult and I struggle with that. The best is watching play testers ‘get’ your game and you realise the design could be published. 6. What is the hardest type of game for you to design? I have stayed away from designs that will be hard to design, until recently when I decided to do the Mystery Rummy Legacy game. That has been the hardest game I have ever designed, but is now being looked at by a publisher. 7. What is your best prototyping tip for a budding designer? Concentrate on making it easy to play, but do not overdo it on components. I believe in keeping some things open for the publisher to see what could be done. Many disagree with me on this, as they think it is better to make it look like it could go right onto a store shelf. But the reason I don’t do that is I do not know how! 8. Would you mind sharing your worst publisher game pitching moment? 9. And what has been your best game design moment? 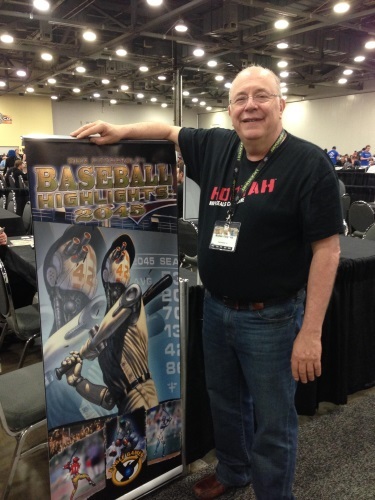 When Baseball Highlights was published and turned out to be a very good seller, which is still growing in popularity! 10. Which style of game is your own personal favourite to play? My favourite mechanism is multi-use and multipurpose cards, with Mottainai being, in my opinion, the best game ever designed. I love medium weight games that are fun and have some depth, such as Istanbul and Key to the City London. 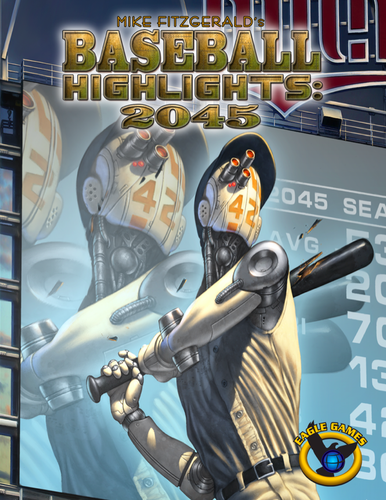 And then I also like most deck-building games, such as Clank, Trains and my own Baseball Highlights 2045. 11. What would make the tabletop gaming landscape a better place? I think it is fine – and getting better all the time! 12. Tell us something about yourself we probably wouldn’t know. I love classical music, with Brahms’ Symphony No.1 being my favourite.